The Rev Taimoanaifakaofo (Fakaofo) Kaio was installed as the Moderator of the General Assembly on 3 October 2018 at the General Assembly held at St Andrew's College, Christchurch from 3 to 7 October. Fakaofo will be Moderator until the 2020 General Assembly. He is honoured and humbled to have been selected. Fakaofo says the Church like NZ society is increasingly multicultural and cross-cultural and that ministry must reach out and form the kinds of one-on-one relationships that respond to different but similar deep life experiences. Fakaofo’s Samoan parents were missionaries with the London Missionary Society in Tokelau. He is named after the Tokelau island of Fakaofo where he was born. Tokelauan is the first of his five languages. 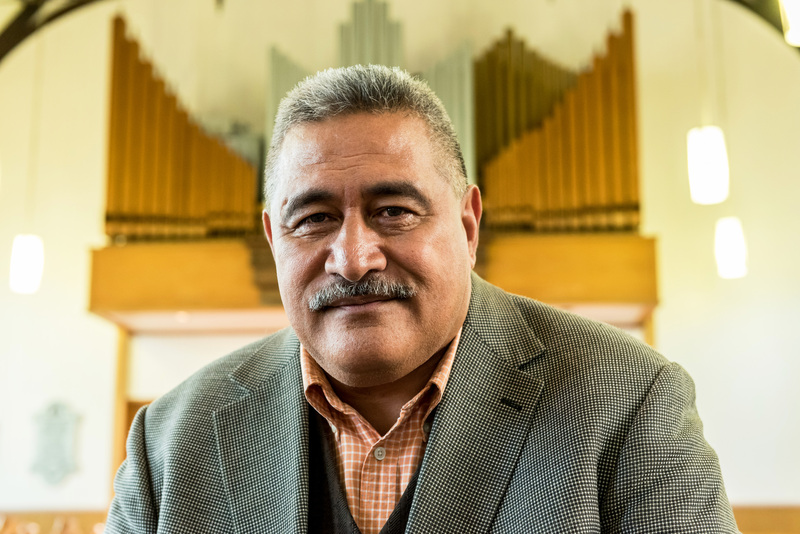 He attended school in Auckland and later moved to Wellington where he was an elder and lay preacher at Porirua Pacific Islanders Church of Christ The King. Fakaofo studied for ministry at the Knox Theological College from 1992. After completing his training in 1994, he ministered at St Margaret, Belmont, North Shore until 2005. He then ministered at Onehunga Cooperating Parish where he still serves today. Fakaofo served as the Moderator of the North Shore Presbytery in 2001, and he was the first Moderator of the Northern Presbytery from 2011 to 2012. He has served the wider Presbyterian Church as its representative at many ecumenical assemblies and consultations held in the Pacific, Africa, Europe and the Caribbean. In his youth Fakaofo was a keen sportsman and played Wellington Rugby League premier grade for 12 years. Fakaofo is married to Ruth and they have two adult daughters, two adult sons and one grandson. Download a hi res image of the Rev Taimoanaifakaofo (Fakaofo) Kaio.